Former division 1 college athlete-turned-Nike Influencer, Lauren Bongiorno is a Diabetic Health Coach, Yoga Instructor, and Wellness Speaker. With a commitment to overall wellness and health, Lauren specializes in working with people with diabetes to help them take control of their disease and live a healthy and full life. As a Type 1 Diabetic herself, the challenges she has faced over the past 18 years led to her discovering her own strength and purpose. As a coach, Lauren commits deeply to the success of each and every one of her clients. As a speaker, Lauren captivates the hearts and minds of each person she encounters. 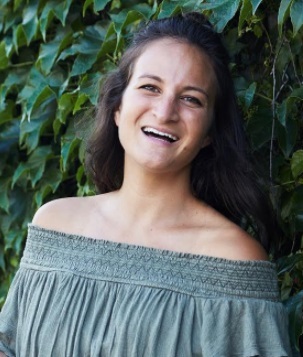 Connect with Lauren over on her instagram @lauren_bongiorno or website www.laurenbongiorno.com where she share her journey- mind, body + spirit. I only like to compare myself to myself, so with that I would say right now I’m the best I’ve ever been at trusting my intuition and believing in my visions. Letting contribution, love and connection guide my actions rather than the need to be or feel significant. My biggest successes have always come right after my greatest challenges. The one that is most significant is deciding last minute not to go to law school and following my passion for health which had lead to have my own health coaching business, become a Nike ambassador, and get to travel all over the world to speak on the role of wellness and mindfulness in our lives. My most challenging moment was going from hiding my diabetes from the world for 17 years to outwardly calling myself a Diabetic Health Coach. I used to think it was my greatest weakness but now I understand it is actually my greatest strength. Through challenge we find our strength. My parent’s, my best friends who all add different value to my life, + Tony Robins. Sedona, Arizona or anywhere where in the mountains! Right now I’m loving Four Sigmatic mushroom teas. Digging deeper into my spirituality. The more I trust, visualize and manifest, the more the universe keeps guiding me and giving me the most beautiful opportunities.